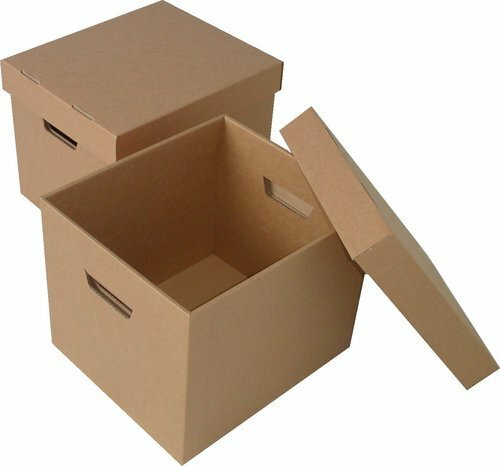 Keeping all the quality parameters of our company into consideration, we are engaged in offering a large range of Corrugated Carton Box. Commenced in the year of 2009 as a Sole Proprietorship based firm, we Shree Hariharan Enterprises located our office in Chennai, Tamil Nadu, (India). We have earned an enviable position by satisfying huge clients. Our corporation grasps specialization in Manufacturing, Exporting, Trading, and Importing of Self Adhesive Sticker, Packaging Box, Adhesive Label and much more. Also provides Packaging Service, Printing Service and much more. Manufactured with the finest qualitative material, our products and services are much admired across the country for their excellent and outstanding performance. We have adopted the latest and advanced techniques of production to meet the new changes arriving in the market. At Shree Hariharan Enterprises, we never compromise with the reliability and quality of the products and services to ensure the flow of error-free products and services in the market. Apart from this, our transparent dealings, ethical policies, effective transport facilities and timely execution also helped us placing our name on the list of top-notch organizations of the country.